Charlotte Rental Property Sitting Idle? Everyone knows times are tough but it looks like the Charlotte area is beginning to see some much-needed action on the home sales and rental property movement fronts. After years of it being a “buyer’s market,” it looks like things are finally starting to level out. Sellers are getting their fair share again! While this is certainly good news for home owners and realtors trying to move these properties, what about the rentals? 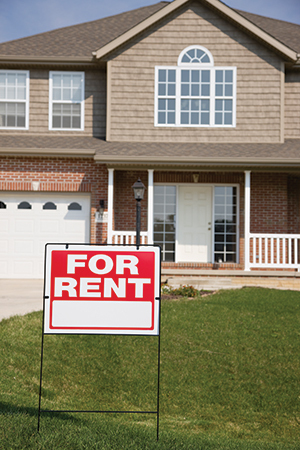 If you are a Charlotte area rental property owner, developer or seller, have you been letting your properties sit idle during the last few years? It’s time to spruce them up so you can move them! If rentals have been sitting idle for some time, they can collect dust on the carpets, even if no one has been tracking dirt or otherwise messing up the place. Lucky you! There is a company in town that loves rentals! Cline Services can clean your rental property carpets and will give you a great deal, too! Rental properties are one of those jobs a lot of carpet cleaners just don’t like to do. Not so with Cline Services! Not only will your properties get thoroughly cleaned, they will be done right and done right the very first time. You won’t need to turn on any water or make any special arrangements other than providing keys. Cline Services does not over-saturate carpets so the drying time is quick. Why trust your properties to some fly-by-night company with no track record? Wouldn’t you rather put your properties’ carpet cleaning in the hands of a true professional? Someone who has been in the carpet cleaning business for almost two decades? Someone who used to work in the carpet retail industry and therefore has a knowledge of carpeting that most cleaners just don’t have? Of course you do! Chip Cline is from this area, has lived here most of his life, and has been in business here for the past two decades. You don’t stick around that long unless you’re doing something right! Some companies will offer super-low, foot-in-the-door pricing just to get you to call. Once they are there, prices all of a sudden begin to escalate. Cline Services doesn’t try to up-sell. You get one complete package deal. So why bother with those companies that have to pay for fancy graphics on their vehicles, television commercials, and radio spots? You can better service from a reliable source by contacting Chip at Cline Services! Cline Services is on YouTube, Facebook and Twitter! Be sure to follow! Cline Services shares interesting social media content so your word can get spread, too! I own several rental properties, and renters don't always treat carpet as well as a homeowner might. I have used Chip several times, always with great results and a very competitive price. I have used Chip for my personal residence as well and highly recommend his services to my friends.